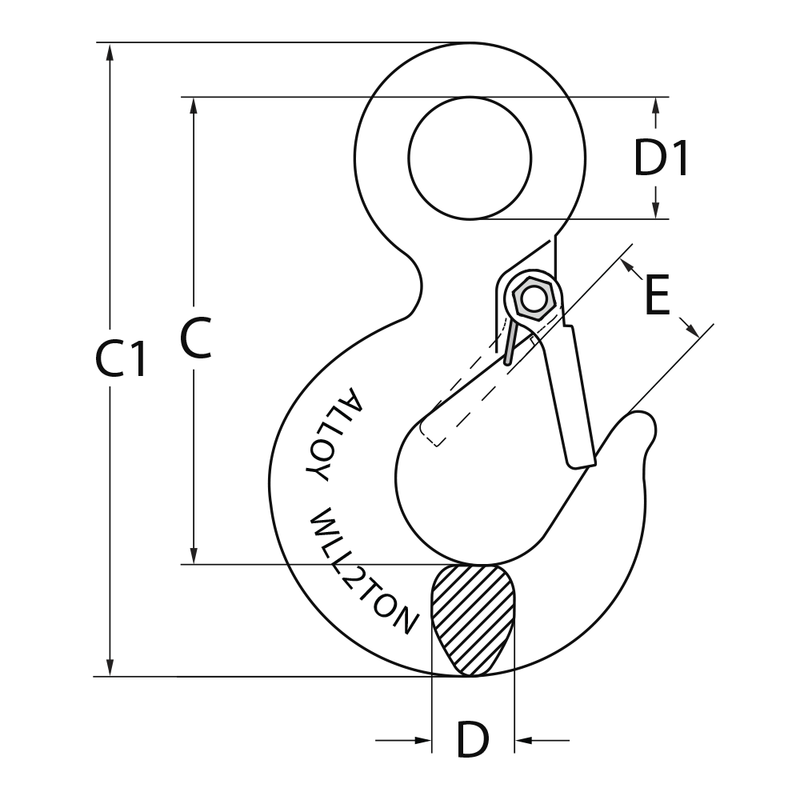 International Eye Hoist Hooks with Safety Latch are commonly used for general lifting applications such as Wire Rope Slings or Winch Cables. 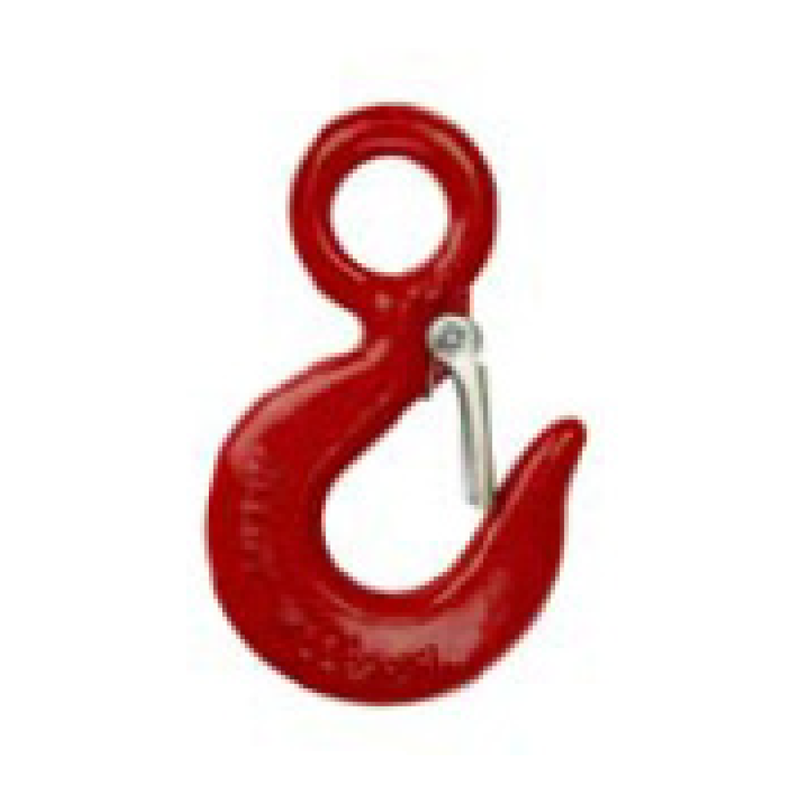 • Manufactured from forged alloy steel quenched and tempered. • Capacities available from 1 ton to 11 ton. • Marked with work load limit and alloy. • Latch kits are available as spare part.